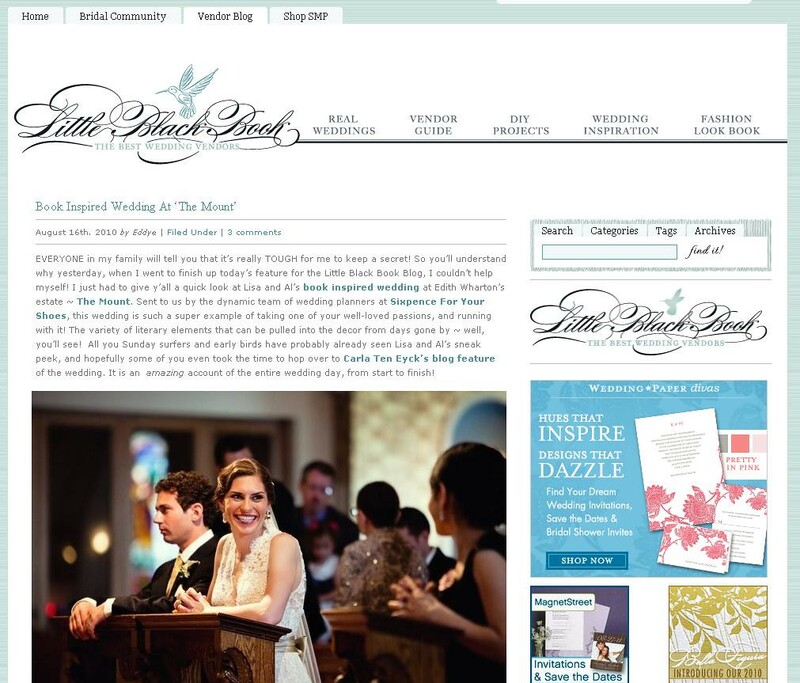 Another gorgeous wedding from this past spring is featured on Style Me Pretty's Little Black Book. Lisa and Al were married in Lisa's hometown Church, with a bookish, literary themed wedding reception which followed at the Mount in the Berkshires. Check it out over at SMP!